Last week, “06880” reported that Kelli O’Hara and Justin Paul were nominated for Emmy Awards. Two other Westporters are also in the running for television’s highest honor. 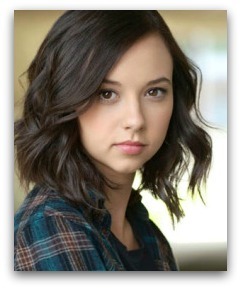 Britt Baron is part of the “GLOW” ensemble that’s up for Outstanding Comedy Series. Congratulations to all 4 nominees. We’re rooting for you — and any other Westporters we may have missed! This entry was posted in Entertainment, Media, People, Staples HS and tagged 2018 Emmy Awards, Britt Baron, Brittany Uomoleale, Jeanie Bacharach-Baker. Bookmark the permalink. This is no surprise to me as a 2007 graduate to see Brittany being honored for her talent and hard work but especially her gift to transform into the characters she plays and feel. Best of luck Brittany!